Set to fall under the moniker of Sky Race Control, the interactive services on the dedicated Formula 1 channel will feature as many as nine simultaneous content streams with viewers given the opportunity to pick and choose which cameras they watch. 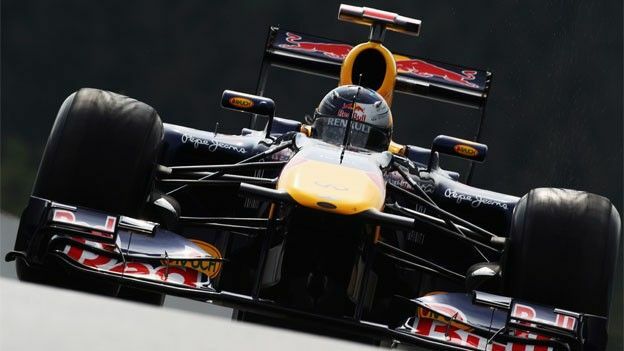 A Sky Sports F1 HD channel launch date has been set for March 9th. “We think the interactive service will reinvent interactive television in a way that we haven't seen for a long, long time,” said Martin Turner, Executive Producer on the upcoming Sky Sports F1 HD channel. “The most powerful and interactive use of the Red Button in the last few years has not been to show different angles and cameras, it's been to show you a different game. Suggesting Sky will offer the most comprehensive Formula 1 coverage to date, Turner went on to reveal the company's plans for a dedicated “Pit Channel” allowing users of the interactive service to gain a more detailed look at the goings on of the F1 pits during the heart of a race weekend. Having outed the Sky's intentions to release a Sky Sports F1 HD iPad app with what he described as “four-way split” multiscreen viewing, Turner added: “Technically speaking, our multi-screen offering will be the biggest change. We will be offering a choice of on-board cameras that [viewers have] never had before. What would you like to see Sky incorporate within its upcoming F1 HD channel interactive content streams? Let us know via the T3 Twitter and Facebook feeds.